I had a great day today hiking with my pal, Stacey and her boyfriend, Reuben. 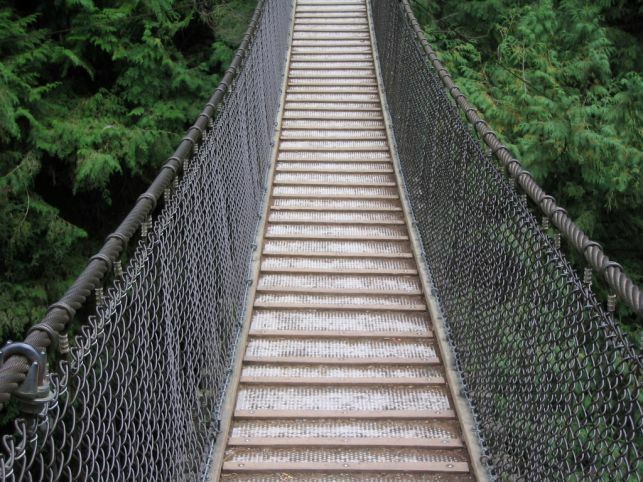 We drove to Lynn Valley and went hiking through the trails and over the Suspension Bridge. It was a gorgeous day, so obviously the place was milling with people; tourists and locals. It was the perfect thing to do on a sunny Sunday afternoon. Then we hit up Commercial Drive for the best salami sandwich ever, at an Italian bakery. Yummmmmy!